You are invited! Come just as you are! We don't want to change you or convert you. We think you're fine just the way you are. We invite you to worship with us sometime soon. 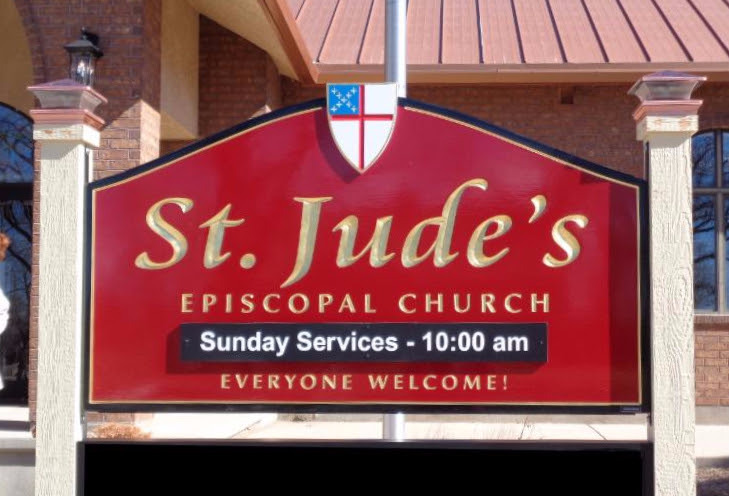 Whether you are a visitor, a newcomer, an inquirer or a member of another church or faith tradition, we want you to feel at home at St. Jude's. Regardless of who you are or where you are on your journey of faith, you will be treated like family. We are NOT interested judging you, or converting you to our faith. We think you are fine just the way you are. We are only interested in making you feel welcome and in sharing our love for Jesus with you. We are a reconciling, affirming, and inclusive Christian community striving through worship, love, and service to welcome ALL people just as God created them. Whether you are single, married, divorced, separated, or partnered, our welcome knows no boundaries of age, race, culture, gender, sexual orientation, economic condition, physical or mental ability. Worship at St. Jude's is a celebration of God's love and grace. We welcome equally the faithful, the seeker, the believer, and the doubter. We're not looking for perfect people. Just come as you are. We won't try to change you. Don't worry about the way you dress or how long it has been since you set foot in a church. We really don't care what you wear or what you believe or don't believe. We care about you because God cares about you.